This is a proverb. It is also a metaphor. The Oxford Dictionary of Phrase, Saying and Quotation has it filed under gossip. I’ll let you draw your own conclusions. It’s all over bar the shouting. Bar here means except for. People may be upset and go on talking about it. (metaphorically) talking about the subject which is dearest to him. A notable use of this expression is in Laurence Sterne’s book, Tristram Shandy. 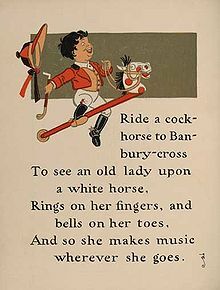 A hobby-horse is a toy horse to ride on. is a frustrated mother’s complaint to her lazy or disobedient children. …I want you to take my word for it. …introduces something the speaker thinks is important. We’re not on the same wavelength. An expression which came in with the invention of radio and television, meaning that there is a difference of opinion or misunderstanding. We’ve got our wires/lines crossed. Another, this time from telephones. Crossed-lines are far less common nowadays, but sometimes a phone conversation could end up being 3 or 4 way by mistake! We seem to be at cross-purposes. He got the wrong end of the stick. It’s music to my ears. Someone is hearing pleasant things (about themselves). Like hay? Nothing can be changed. …I have doubts about the truth of your story. You’ve cottoned on to that. Cottoned on means understood or got the hang of. Both are slang expressions and getting the hang of tends to be more practical. This is about facial expression as much as what is said. It is a comparison, but not a simile or metaphor. It isn’t a matter of life and death. Reassurance to someone who is upset. It isn’t the end of the world. In the Book of Common Prayer the Gloria is used after each psalm. It finishes “world without end. Amen”. Is this a reference to the angel’s promise in Luke Chapter 1 verse 33 “…his kingdom will never end” or another way of saying “for ever and ever”?